Hey sorry about the late update. I've been sick again and my youngest has as well. He had me up until like 4am Saturday night and last night both and I couldn't get a few minutes tied together to post this. I don't know if this is going to like start becoming a thing on here or what, but I've got another collection of short bits I want to talk about. 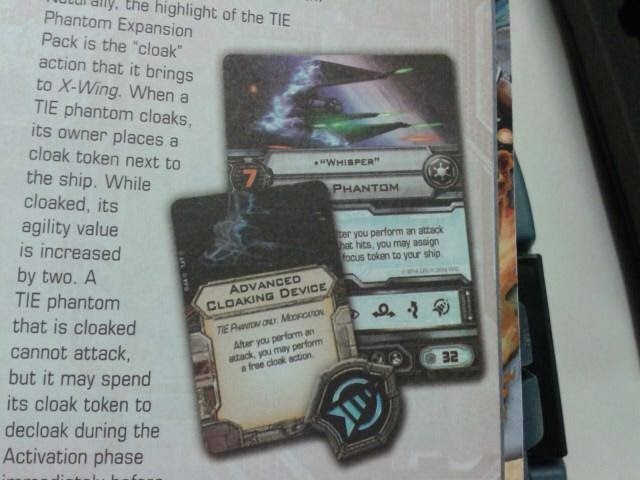 With all the hubub of the painting contest last week, I didn't have much of a chance to comment on some photos making their way around the internet regarding the TIE Phantom's Advanced Cloaking Device late last week. 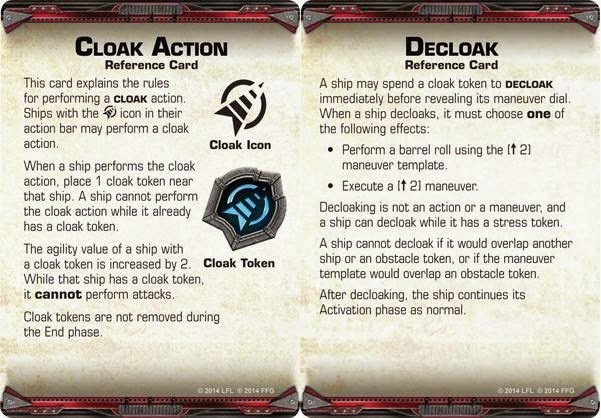 UPDATE: +Travis Murray just sent me an attachment that appears to be the rules card for the Cloak/ Decloak action! Fab's Squadron Builder Now in German! Got an email from a guy named Chris LaCross asking if TheMetalBikini.com could promote an X-Wing Tournament/ Con he's organizing. You can find the full details of the two X-Wing events and the LCG event here by clicking on the Schedule and Tournament Docs link. 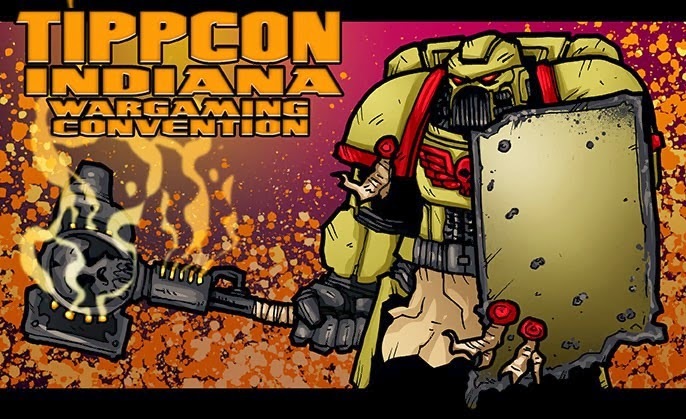 Short version is TippCon is the last weekend in May and they hold it in Lafayette, In. While I'd love to attend, I'll likely be working weekends at that point, so I'm probably out. If not though, or if I can somehow finagle my way out of it, I'll definitely get up there to check it out! MM and I are shipping your prizes to the addresses you sent us today. I'll keep y'all posted with any tracking info should i receive it.